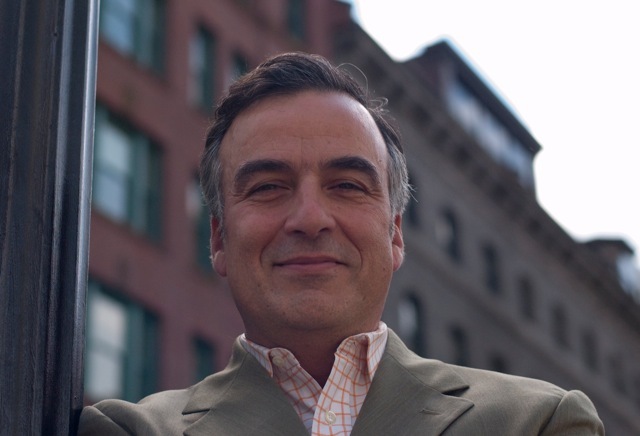 A huge congratulations to Thomas P. Catalano, AIA LEED AP of Catalano Architects! 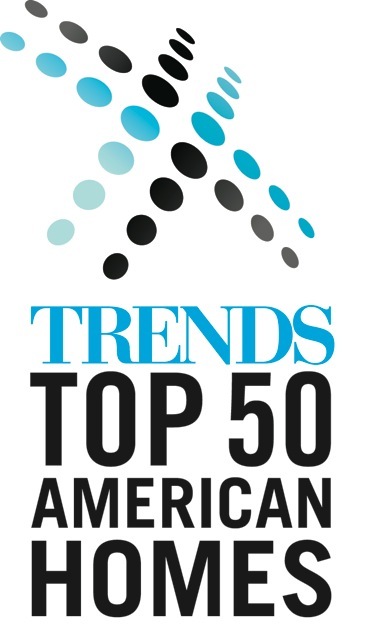 Home and Architectural TRENDS magazine has selected a Catalano Architects project as one its Top 50 American homes and you will see why below. The award was based on excellence in design, function, product specification and style. 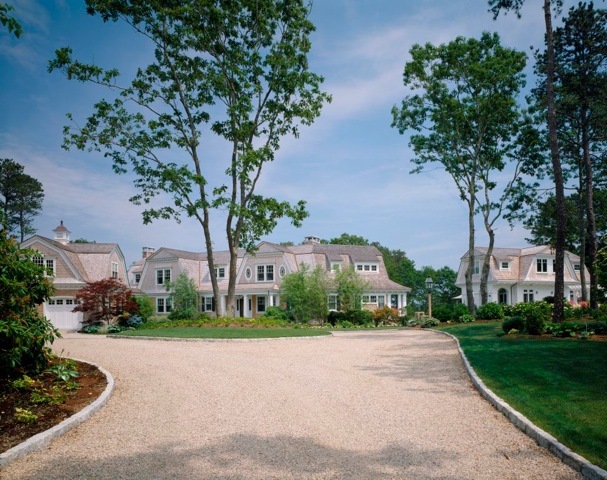 This gorgeous house is located in Osterville, MA on Cape Cod. This is a summer home for empty nesters who wanted a retreat for their large extended family. The house was not to be overly showy from the road and clad in cedar shingles. 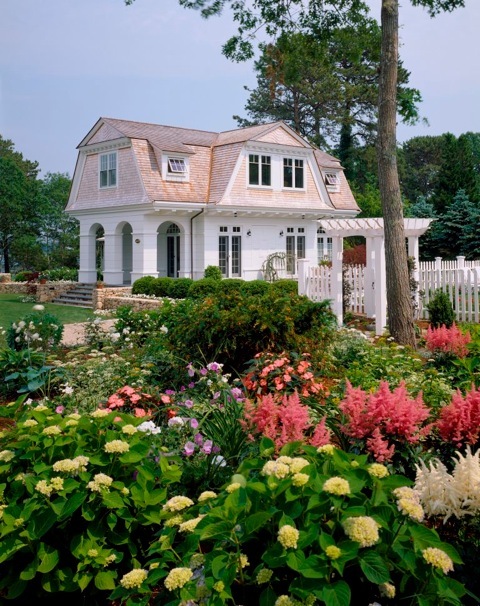 When weather, the gambrel roofed home will blend in with the many older homes Osterville. The design allows for a spacious second floor but gives the exterior a quiet, low profile. The house is oriented so that every room faces the sun and views of the bay. Love the wave pattern in the shingles above the front door! 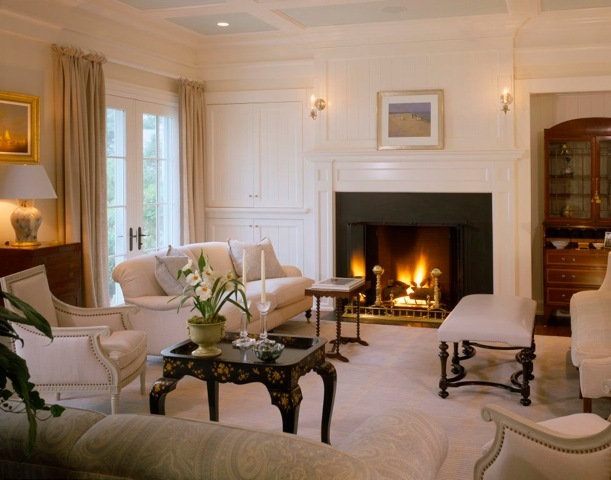 The interiors were designed by my favorite New England design team of (the late) Lee Bierly and Christopher Drake. 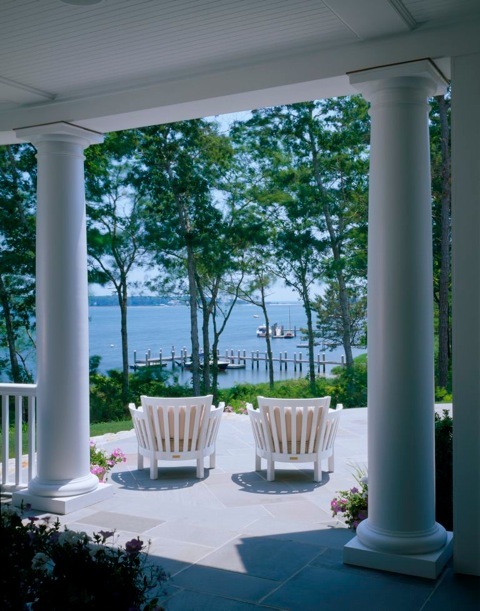 The design includes a calming palette of ivory and pale blues, reflecting the water and sky. Seriously, just admire the guest house alone! And those views! Lucky clients. Congratulations again, Thomas!